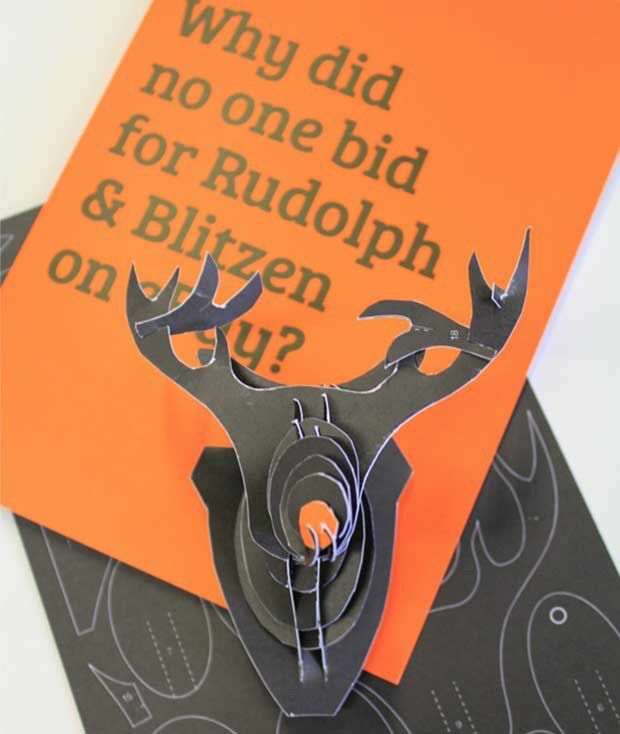 The media are loving our 2014 Christmas Card, which comes with two make-your-own reindeers! 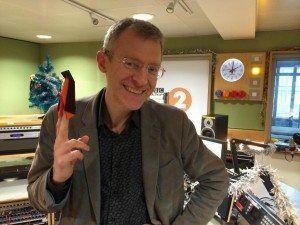 Last year our Christmas Card contained everything people needed to make their own Christmas Penguin. We were inundated with photos of orange and black penguins, including one of Jeremy Vine in the BBC Radio 2 studio. Like you, we know that Christmas penguins are so last year. That’s why this time around we included not one but two make-your-own reindeers. And, once again, the media have raved about our creative approach to celebrating Christmas. BBC Radio Lincolnshire really got into the festive feeling with Nicola Gilroy challenging her Lunch Bunch panel to make the reindeers we sent her. 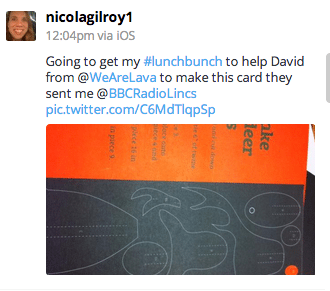 She even took to social media to share her enthusiasm and posted a video onto BBC Radio Lincolnshire’s Facebook page.